It references the 2014 shooting of McDonald and the city's delayed response to questions about what happened. "I never would have done this if I didn't believe my life or someone's life was in danger," Van Dyke said in an interview last week with a local Fox-TV news affiliate. He said he was following the training he received from the Chicago Police Department. Police contend McDonald lunged at officers with a knife. Van Dyke's defense team and police contend he acted in self defense. Van Dyke is charged with murder and aggravated battery. He's pleaded not guilty. Critics charge that Mayor Rahm Emanuel tried to keep the video under wraps during a tough re-election campaign. The mayor, who announced Tuesday that he won't seek a third term, always denied that charge. Three years ago during a city council meeting, he apologized for McDonald's death. "What happened on Oct. 20, 2014 should never have happened," the mayor said. "Supervision and leadership in the police department and the oversight agencies that were in place failed. And that has to change." In Chicago, it has been decades since a police officer faced a murder charge for an on-duty fatality. Van Dyke's attorney has long argued that his client can't get a fair trial because of all the publicity. He calls the case a tragedy — not a cause for a murder charge. After an earlier court hearing, Laquan McDonald's great uncle, Marvin Hunter, said his nephew's death was indeed a tragedy — an all too familiar one for African-Americans during encounters with police: "We need to change a corrupt culture that allowed this to happen in the first place," Hunter said. There's been plenty of local political fall out: Mayor Emanuel's announcement on Tuesday that he's not running again, a police superintendent ousted, a county prosecutor losing her re-election bid. There also have been sweeping police reforms that include de-escalation training for cops, considered critical when looking for alternatives to deadly force. That's something the police union adamantly opposes, says Fraternal Order of Police President Kevin Graham. He called it "illegal and invalid," and says they'll challenge it in court. While those recommendations are a start, Maria Hernandez says the consent decree doesn't go far enough. Hernandez is an organizer with Black Lives Matter. All right. Jury selection is beginning today in Chicago in the trial for a white police officer accused of killing the Laquan McDonald, a black 17-year-old. This trial is getting underway just a week after a case in Texas where the jury took the rare step of convicting a police officer of murder and sentencing him to prison for fatally shooting a teenager. As NPR's Cheryl Corley reports, the case in Chicago has prompted protests demanding justice and police reforms. CHERYL CORLEY, BYLINE: There's one protest chant that's become a mantra in this Chicago case. UNIDENTIFIED CROWD: (Chanting) Sixteen shots and a cover-up. Sixteen shots and a cover-up. 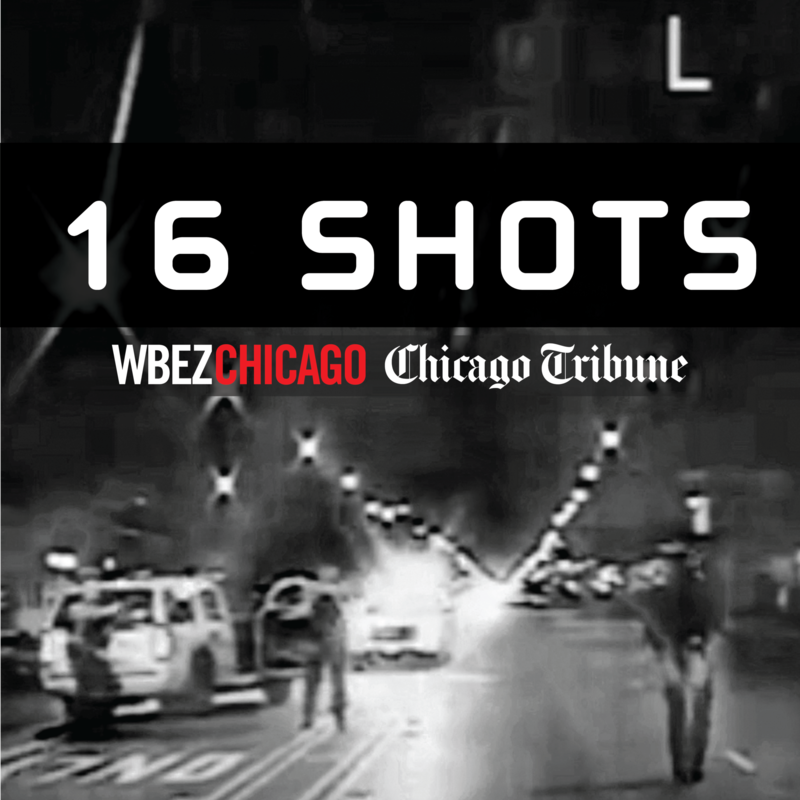 CORLEY: Sixteen shots and a cover-up - it's a reference to the shooting of Laquan McDonald by Officer Jason Van Dyke. In a graphic, silent police dashcam video, released a year after the shooting, Officer Van Dyke opens fire a few seconds after he exits his police car. He shoots McDonald 16 times. JASON VAN DYKE: I never would have done this if I didn't think my life or somebody else's life was in danger. 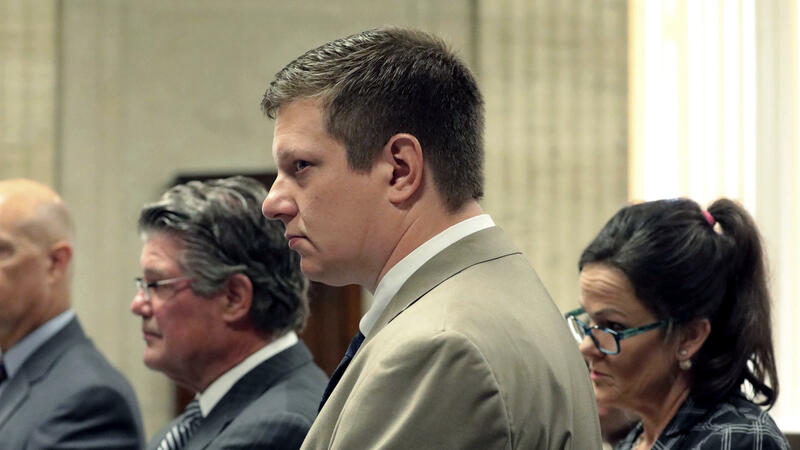 CORLEY: In an interview last week on a local Fox TV affiliate, Van Dyke said he was following the training he received from the Chicago Police Department and acted in self-defense. Police contend McDonald lunged at officers with a knife. The video tells a different story. It shows McDonald, knife in hand, walking away. Van Dyke is charged with murder and aggravated battery. He's pleaded not guilty. Critics charge that Mayor Rahm Emanuel tried to keep the video under wraps during a tough re-election campaign. The mayor, who announced yesterday that he won't seek a third term, always denied that charge. And three years ago during a city council meeting, he apologized for McDonald's death. RAHM EMANUEL: What happened on October 20, 2014, should never have happened. Supervision and leadership in the police department and the oversight agencies that were in place failed. And that has to change. CORLEY: There are about 1,000 police shootings every year, says Bowling Green State University criminologist Phil Stinson. Most are deemed justifiable. PHIL STINSON: Since 2005, only 93 officers across the country has been charged in one of those cases. CORLEY: Out of those 93, about a third have been convicted. It was just a week ago in Texas that a jury took the rare step - convicting a police officer of murder and sentencing him to prison for fatally shooting a teenager. It's been decades in Chicago since a police officer faced a murder charge for an on-duty fatality. Van Dyke's attorney has long argued that his client can't get a fair trial because of all the publicity. He calls the case a tragedy, not a cause for a murder charge. After an earlier court hearing, Marvin Hunter, Laquan McDonald's great uncle, said his nephew's death was indeed a tragedy and an all too familiar one for African-Americans during encounters with police. HUNTER: ...That caused this to happen in the first place. CORLEY: There has been plenty of political fallout - Mayor Emanuel's announcement that he's not running again, a police superintendent ousted, a county prosecutor lost her re-election bid. There also have been sweeping police reforms that include de-escalation training for cops. Some of the changes occurred as the U.S. Justice Department issued a scathing report that found the Chicago police often used unnecessary and deadly force, especially against minorities. The report prompted calls for federal oversight of the department and was formerly called a consent decree. That's something the police union adamantly opposes. Christy Lopez is a former Justice Department attorney who helped lead the investigation. She says the recommendations in a draft consent decree that would mandate reforms are a milestone. CHRISTY LOPEZ: What this consent decree does is it attempts to address each of those components that allowed the Laquan McDonald - and so many other - problematic incidents to occur. CORLEY: Components like training, discipline, recruitment and accountability - all things she says that must be addressed in order to change the culture of a police department. CORLEY: Activists gathered recently at Chicago's City Hall. Maria Hernandez, an organizer with Black Lives Matter, said the draft consent decree for Chicago police simply doesn't go far enough. She's also urging people to show up at Chicago's Criminal Courts Building today, saying it's time for the city to make history. MARIA HERNANDEZ: We need to convict Van Dyke. We need this consent decree to reflect the demands of the people most impacted. And we need everyone in the streets at 26 and California on September 5 when this trial happens. CORLEY: A trial that could have long-term implications for the city, the Chicago Police Department and the trust between police and neighborhoods. Cheryl Corley, NPR News, Chicago.